If you are one of those enthusiasts who unlock & root their new smartphone the second they get it, you're going to love the HTC One M9. It's already possible to bust open its bootloader and open the gates for rooting, flashing custom roms, Xposed modules, tweaks - you know, all that good stuff! We're going to show you the procedure now. But before you jump in, take note of some important prerequisites. You will need a computer for this. In this tutorial, we're using a Windows computer. The procedure is largely the same on Mac and Linux, but the software used differs a little. Unlocking the bootloader will void the warranty of your smartphone permanently and HTC's service will give you the cold shoulder. The procedure will also wipe all personal data on your device, so either do this while your One M9 is brand new, or backup your data beforehand. It goes without saying that the backup data must not reside on the smartphone itself, because it will be deleted along with the rest of the data on it. So copy it to your computer or upload it to your cloud storage account, and you're set! Oh, last but not least - charge your device to at least 50% before you go on. Register an account on HTC's Developers website. Use this link. Then, log in, click 'Unlock Bootloader', and click 'Get started'. Download and install the latest HTC Sync Manager app on your computer. This will install the latest HTC drivers. Use this link. Download and install Minimal ADB & 'FASTBOOT'. Use this link. Take note of the folder in which the files went to, because you'll have to open it soon. Disconnect the One M9 from your PC, power it off, and wait 10 seconds. Now, hold the Volume Down + Power keys until you see the message *** LOCKED *** on top of the display. Press the Volume Down key to highlight 'FASTBOOT', and press the power button to select it. Now, connect the M9 to your PC. The text on the screen chould change to 'FASTBOOT USB'. This means the USB drivers are properly installed and we're ready to proceed. Head to the folder where you installed minimal adb and fastboot. Hold the 'Shift' button and right-click on an empty space in the folder. Select 'Open command window here' and a command prompt window will spring open! In there, type or paste ' fastboot oem get_identifier_token ' without the quotes. The command prompt will output a lo-o-o-ng string of random mumbo jumbo sentences sandwiched between >> and >> headers. That's your token for unlocking! Now, you need to copy the sentences between the headers, then head to the HTC Dev website and paste the token where it says 'My Device Identifier Token'. It's on the second page of the website's wizard. Then click 'Submit'. If all is fine and dandy, HTC will send you an e-mail with an Unlock_code.bin file attached. Download this file to the folder where you installed minimal adb & fastboot. Open a new command window inside the folder with the Shift + Right click trick and paste ' fastboot flash unlocktoken Unlock_code.bin ' in it. Your HTC One M9 may ask you to confirm the Bootloader unlock. Highlight 'Yes' with the Volume Up button, and confirm by pressing the Power button. The smartphone will reboot and it should wake up with its bootloader unlocked! However, a double-check is worth it, so reboot your One M9 in bootloader mode once more. If you get the *** UNLOCKED *** message on the screen, you are successful! Your next step should be installing a custom recovery so you can flash custom roms & tweaks. If the bootloader isn't busted, you can try again, looking at not repeating any mistakes you might have had. I wonder if achieving S-OFF will be any easier. No way in hell I'm throwing out 25 bucks for that Sunshine crap. That's why i always go for a Samsung or LG smartphones. The easiest to root, takes less than a minute to do so without losing any of your data. Samsung also have an edge when updating your phone, while my n910c Note 4 is running on the middle eastern software and still didn't receive lollipop, i was able to download Poland n910c's software and flash it through Odin. Didn't take 5 mins to get the latest on my phone, and again didn't lose any of my data. What about Nexus devices? They should be much easier to root. i totally agree... i've always been attached to HTC though because they've kept a little smaller.. i want flagship speccs in a 5" body.. and as much of a hassle it is sometimes it's worth it for me lol if LG would come out with an option like that.. or if Sony's z series, or the Asus Zenfone got some good cases i'd be all about that too. Really? You can do the same on HTC phones without Odin. in other words, you get to skip a step. for some reason i always had problems with odin and almost bricked 2 phones. You're kidding, right? LG yes. But Samsung? Most carriers have the bootloaders locked. Even if you get a version that isn't and you root it, it trips Knox, permanently branding your phone as "tampered" and sometimes disabling features (like Samsung pay). To this day, there still isn't a root method for the AT&T and Verizon Note 4. That's great and all, but the Knox issue still stands with Samsung. You can unlock the bootloaders on the carrier versions of the HTC flagships. That's one thing I really respect about their phones. C'mon AT&T.. Lock this BIATCH DOWN! 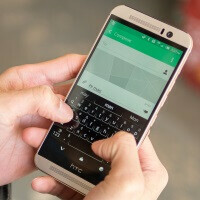 I wonder if any of the US carriers will allow their phones to be unlocked via HTC Dev. Sprint, and to a smaller degree, T-Mobile have been the only carriers that are allowing bootloaders to be unlocked on their devices. AT&T and Verizon have been keeping a tight lock on their bootloaders. "Unlocking the bootloader will void the warranty of your smartphone permanently and HTC's service will give you the cold shoulder." They said in their Uh-Oh announcement that you can root, etc. and you'll still be covered. Not sure if they specifically said "unlock bootloader" but they made it sound like this wouldn't be an issue.